The long-term administration of acyclovir (ACV) for therapy against herpes simplex virus type 1 (HSV-1) infections can result in the emergence of ACV-resistant HSV strains. It is therefore urgent to develop new anti-herpetic compounds with mechanisms that differ from that of ACV. Cyanovirin-N (CV-N) is an antiviral agent that has an inhibitory effect on HSV-1 infections, and PEGylation of CV-N is potentially useful for pharmaceutical applications. Here, a (Gly4Ser)3 linker molecule was attached to the N-terminus of CV-N, and the resulting compound, linker-CV-N (LCV-N), was produced on a pilot scale with purity up to 95%. Then, PEG10k-LCV-N was synthesized by modifying at the α-amine group of the N-terminus of LCV-N with 10-kDa polyethylene glycol propionaldehyde (mPEG-ALD). CV-N, LCV-N and PEG10k-LCV-N were all found to have potent inhibitory activity against ACV-resistant HSV strains with IC50 values in the nM range. LCV-N was the most potent of these three compounds against both normal and ACV-resistant HSV strains. Although PEG10k-LCV-N showed less antiviral activity than CV-N and LCV-N, it still exhibited significant and universal virucidal activity against drug-resistant viruses. The toxicity and immunogenicity of PEG10k-LCV-N were dramatically lower than those of CV-N and LCV-N. 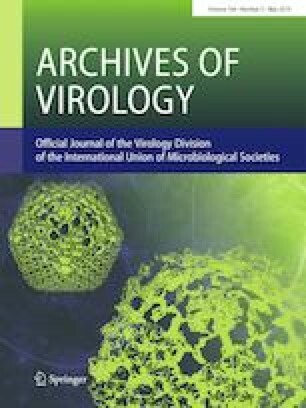 In conclusion, we suggest that LCV-N and PEG10k-LCV-N are promising and safe microbicides for the control and/or treatment of ACV-resistant HSV infection. Yun Lei and Wei Chen contributed equally. We thank Dr. Jun Fan of the Institute for Virus Research, Kyoto University, for her help on the manuscript discussion. This work was supported by the Guangdong Provincial Science & Tech Project (2015A020211016) and the Guangzhou Industry-Academia-Research Collaborative Innovation Project (201604016009) to S.X. This article does not contain any studies with human participants.